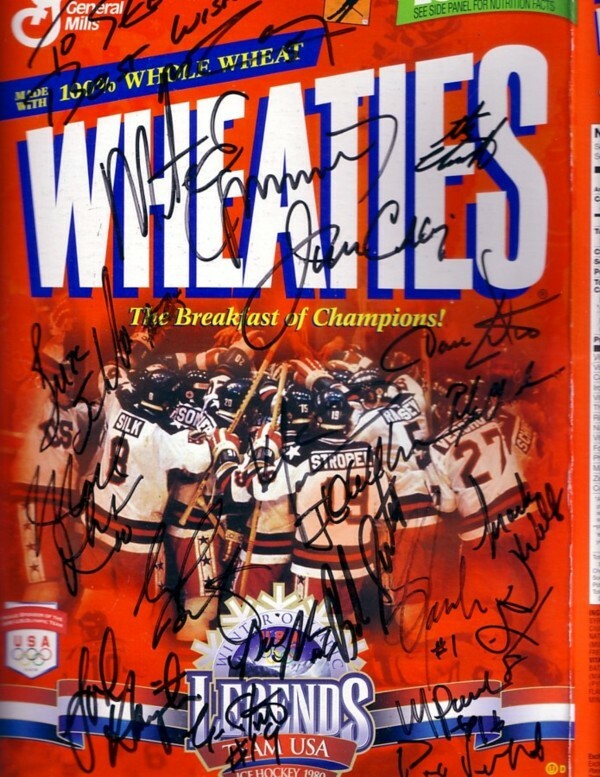 1980 U.S. Hockey commemorative Wheaties box, emptied and folded flat, autographed in black marker BY ALL 20 MEMBERS of this historic Miracle on Ice team including Bill Baker, Neil Broten, Jim Craig, Steve Christoff, Dave Christian, Mike Eruzione, John Harrington, Steve Janaszak, Mark Wells, Mark Johnson, Rob McClanahan, Ken Morrow, Jack O'Callahan, Mike Ramsey, Buzz Schneider, Dave Silk, Eric Strobel, Bob Suter (deceased), Phil Verchota and the very reclusive Mark Pavelich. 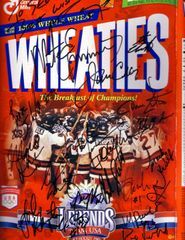 NOTE: Ramsey added the inscription To Steve, Best Wishes. 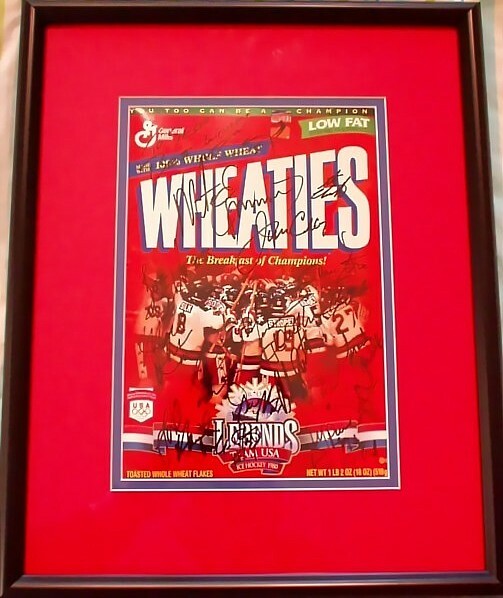 Professionally double matted and framed in red, blue and black. 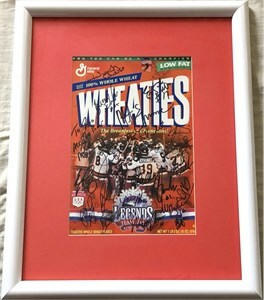 Obtained in person at the 2002 team reunion in Los Angeles. With certificate of authenticity from AutographsForSale.com. ONLY ONE AVAILABLE FOR SALE.